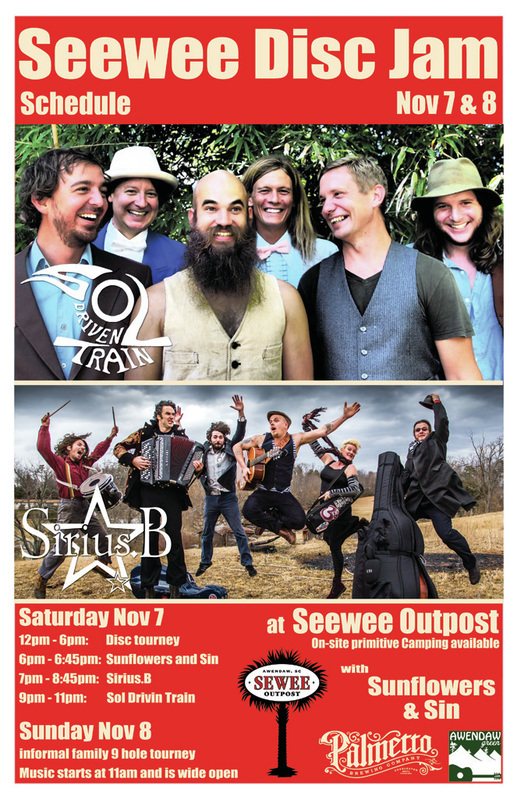 Join the Sewee Outpost and Innova Disc Golf for their Disc Golf Tournament (1 Round) at 2 PM on November 7, 2015. Find more informations and register for the event HERE. After, Palmetto Brewing presents an evening of amazing original music Barn Jam style. wt members of Sol Driven Train, Sirius B, Dan Keller-Jazz Guitarist, and Morning Fatty.